If you ever get the chance to experience an orchestral performance, your perception of what music is supposed to feel and sound like will suddenly be heightened to glorious proportions. 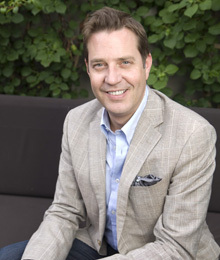 Music — every note and bar of it — has always played a part in the life of virtuoso Steven Reineke. On the rooftop patio at The Spoke Club on King Street West, City Life Magazine sat down with the charismatic symphonic composer, arranger and conductor to discuss what the city of Toronto sounds like, and what he hopes to bring to the mix. Q: How does it feel to be the Toronto Symphony Orchestra’s (TSO) newly appointed, first principal pops conductor?